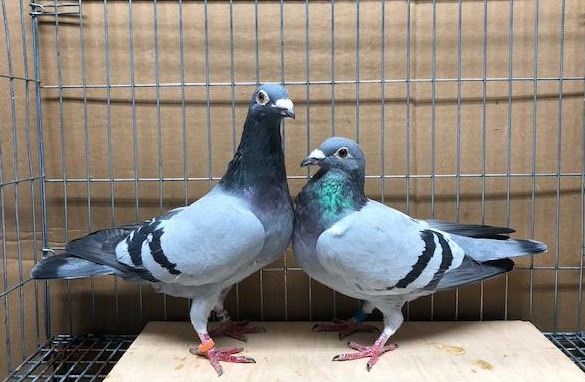 Up for bid are 2 birds that are related directly by their mother "5166". Both birds are very healthy and ready to breed. All their parents are PROVEN Breeders! !, their mother "5166" Bred me multiple winners including 2011 GHC Auction Race Winner in Springhill, FL. * BBC, medium built with very strong muscles. 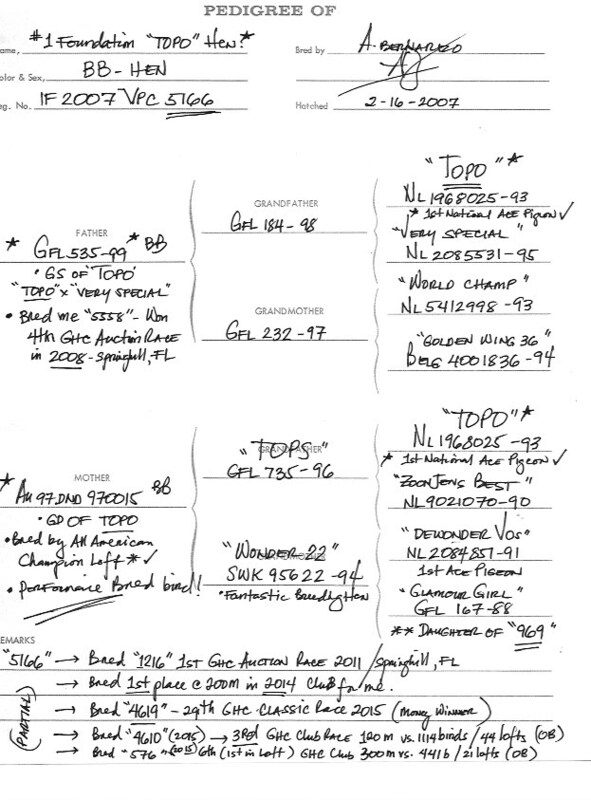 * 4605 is a SUPER Inbred "TOPO" , Father and Mother are Brother-Sis mating and SOLID "TOPO"
* This is a FOUNDATION "Topo" that will be excellent to cross with you best! "5166 Hen"- bred me 2011 GHC 1st Place Auction Race Winner when she was paired to HIP 397. She is a FULL SISTER to the 2008 GHC 4th Place Auction Race Winner. This is it!...Everything MUST GO. I will be listing all my birds in my LOFT and will not be holding back on any of my racers. 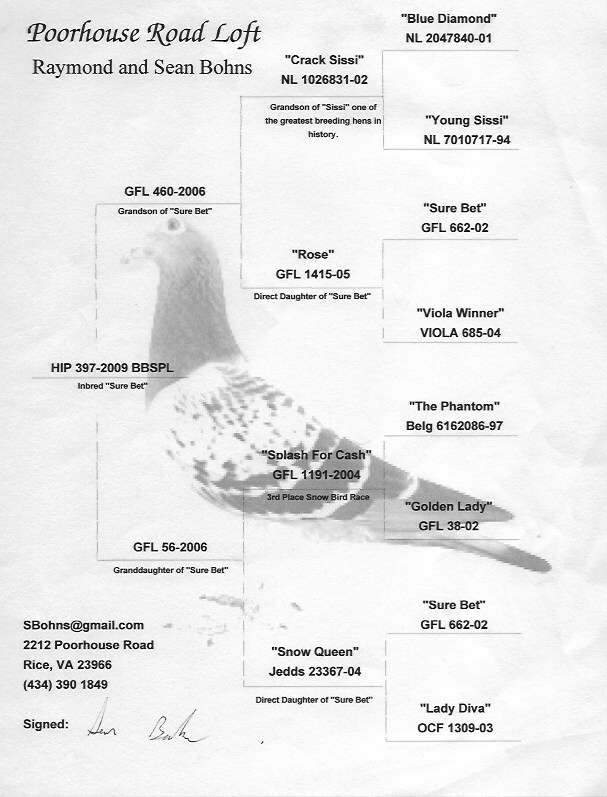 It's been a fun 16 years of pigeon racing and it's time to move them to the next loft. The last 10 years I have concentrated on getting Futurities and OLR racing blood, and with that feat and process I have won multiple awards and memorable wins. In 2008 I won a 4th place in the GHC Auction Race then in 2011, I won the GHC Auction Race in Springhill FL. with my TOPO -SUREBET cross, and over the years this cross has been proven a tough contender in other races. With this opening BID ,this is almost a GIVE-AWAY considering how much I have to pay in listing fee :), but as I said earlier EVERYTHING MUST GO!!! I have already SELECTED the birds worthy of staying , so anythng in my loft now is ONLY the good ones.